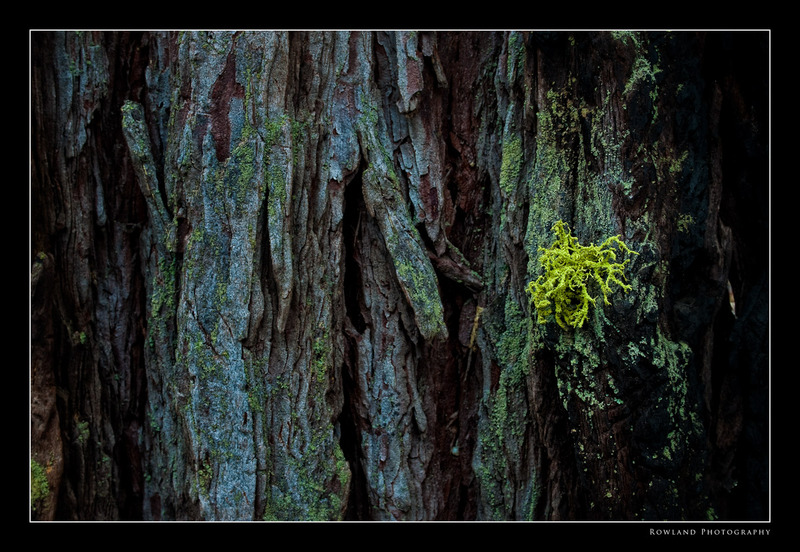 Throughout Yosemite, even in the middle of winter, the moss clings to life with a brilliant green hue. Stuck on rocks, pathways and trees it shows its face as if to remind you that even in the harshest of places… life finds a way. Stumbled upon this shot as I was looking to find a decent macro to shoot. This almost anemone like moss, clinging to the side of this huge tree… whose bark, made for the perfect background. 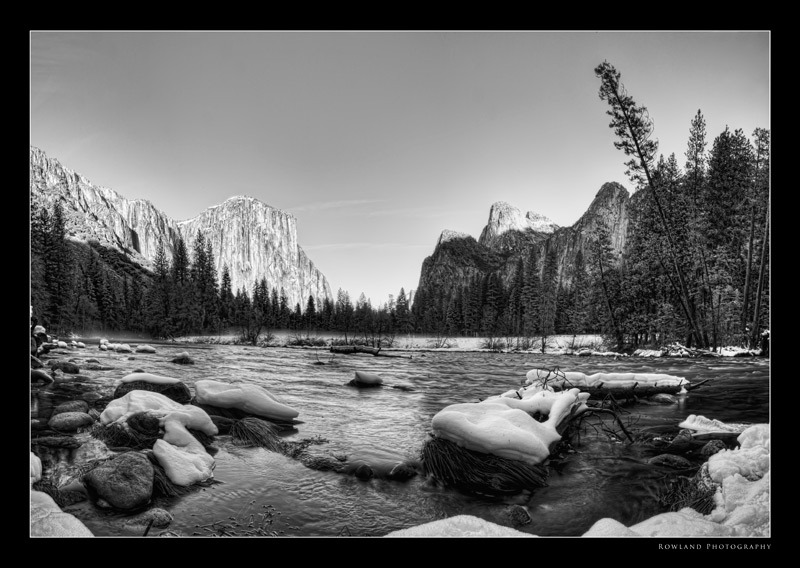 If it’s possible to offer a “tip-of-the-ole” hat to Ansel Adams… this is my attempt. 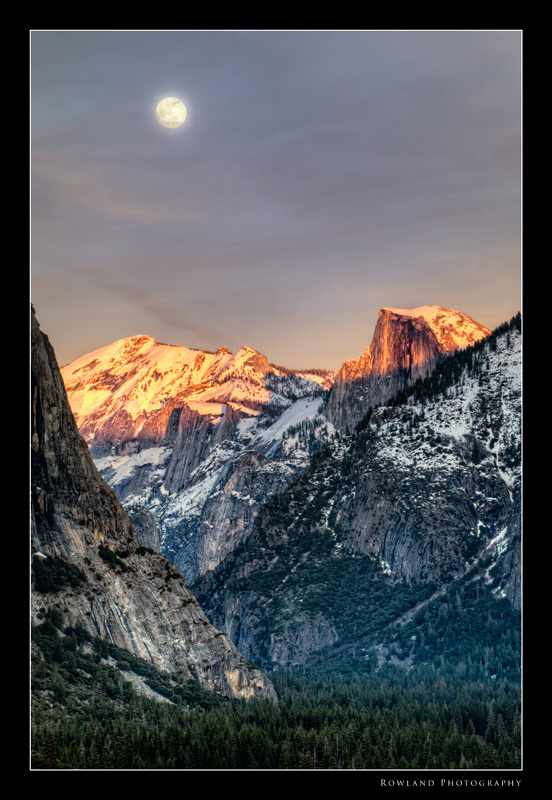 No iconic El Capitan, or Half Dome shot. 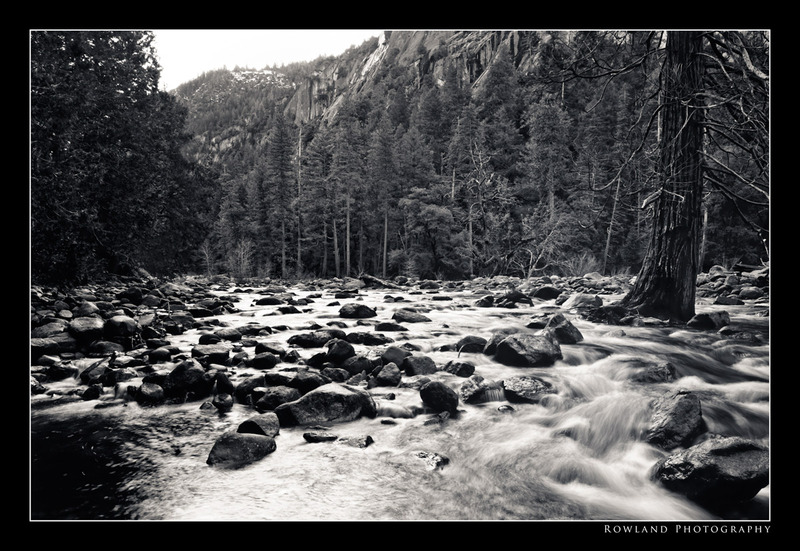 Just a quiet place along the Merced river where nature just goes about its business. The tree seemingly embedded in the river on the right of the frame is what originally caught my eye. A quick snap of El Caps’ profile. Amazing color. 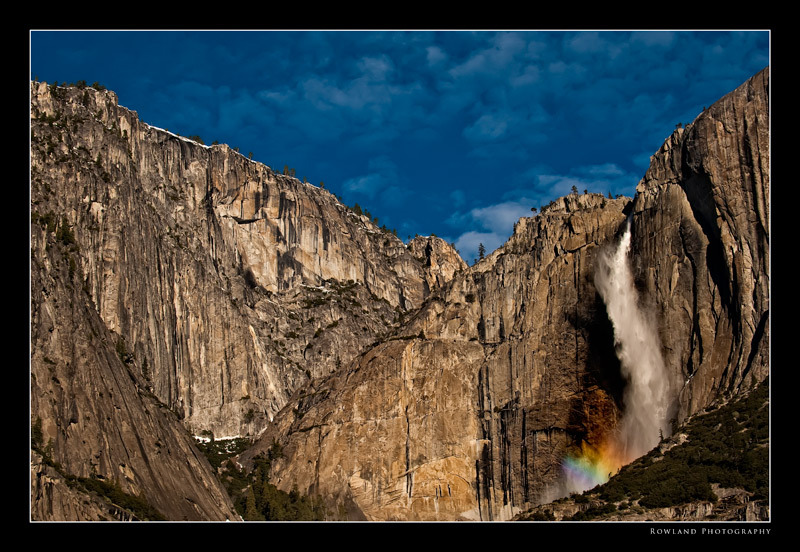 And such a dominant “rock” in Yosemite Valley. Finished this in Lightroom 3 and Photoshop CS3 using NIK’s Filters (tonal contrast, darken lighten center and glamour glow). I really like how Glamour Glow softened the “hardness” of the rock… gave it a bit more pop (as photographers say!). 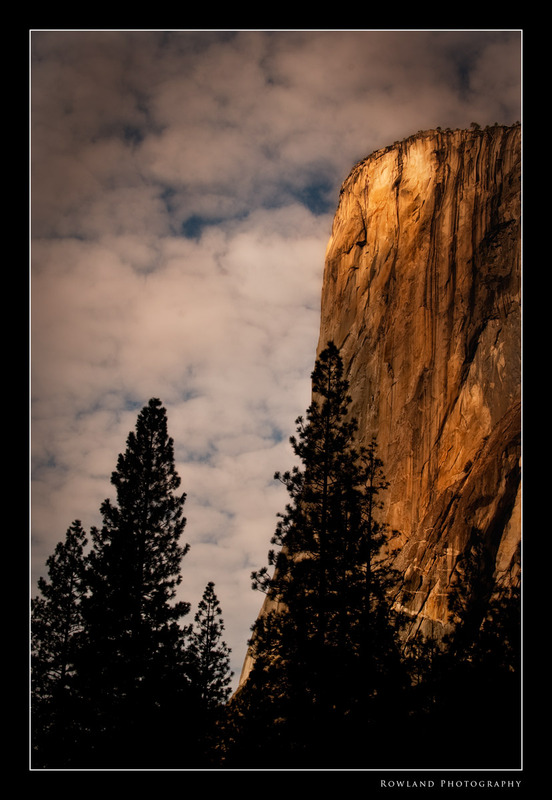 Didn’t apply to the trees… wanted the environment surrounding El Capitan to remain sharp. There is something about those first few moments before dawn breaks. The sky begins to lighten, the dark blue of night begins to fade… The horizon begins to brighten intensely as the promise of a new day unfolds from 93,000,000 miles away. Standing there… alot crosses your mind as you feel very close to nature and the universe, as if you get to peer into its ticking components for a moment or two… and Mother Nature reveals a little secret… glad I got to share this one with you. P.S. 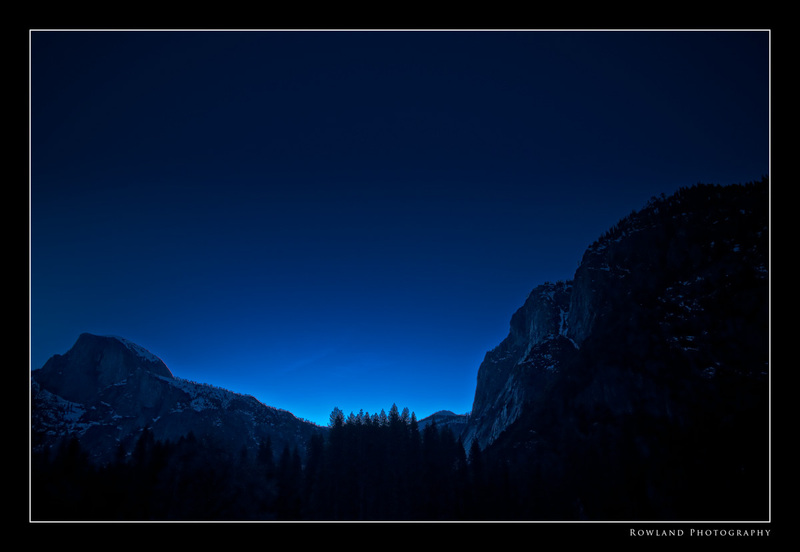 Thats Half Dome to the left… love how the light wraps its arms around the landscape… click the image to see it bigger and have a great weekend! 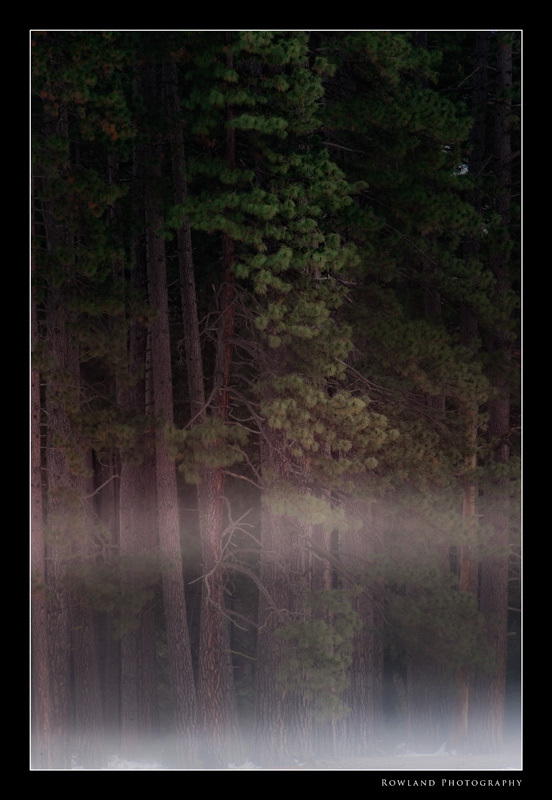 One really neat thing about Yosemite is the ghostly mists… They come and go as if they had a life of their own. You’ll be walking through the park and not see any, turn a bend and an entire field will be shrouded in white diffused light… and within minutes its gone again. I love how the mist clings to the ground and ends up in various layers as it dissipates into the warming sun. When you really stop and think about all the movement going on in the Universe you can end up making yourself dizzy. Moon revolves around the earth, which revolves around the sun, which revolves around the center of the the Milky Way which is spinning its way who knows where. Like I said, alot of movement going on. But I like this shot… for many reasons, the alpen glow on the distant mountaintops, the Man-in-the-Moon captured with detail, the sky with an amazing blend of color as day gives in to twilight which shortly will fade to night. This is the magic hour in photography where light really shines and does its thing. 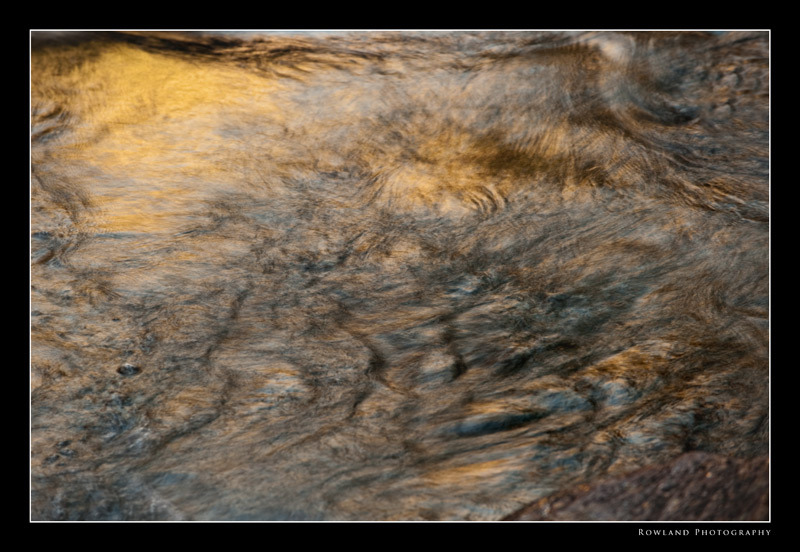 Swirling light, and moving water make for some interesting photographs. 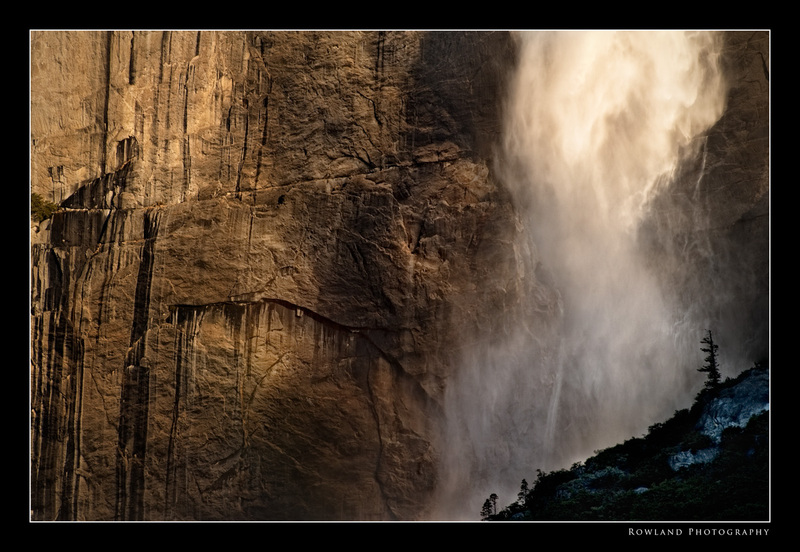 Here, similar to my Golden Water post, the light from El Capitan is reflecting off a river’s surface to give it a golden hue… in addition, the rapids force the water to swirl, churn and boil… All caught in a fraction of a second.